Excellent, profesional and non judgmental. Elma, It has been our pleasure to serve you and we hope to continue to be of service to you in the future. Thank you for taking the time to leave your feedback we appreciate having you as our client. So far they have been terrific! They have been prompt to respond and really seem to be on top of things. Jeff, Thank you so much for choosing us to assist in your tax situation. I felt good about my choice to call Tax Defense Network beginning with my first call for assistance. The gentlemen I spoke with was very courteous, compassionate and understanding. After the initial screening, I was fortunate enough to be assigned Tomika S as the Tax Analyst assigned to my case. She is wonderful to work with, quick to respond and definitely gets the job done. My sincere appreciation to you for peace of mind and a job well done. It has been our pleasure to serve you and we hope to continue to be of service to you in the future. Thank you for taking the time to leave your feedback we appreciate having you as our client. I contacted Tax Defense Network and they were all very nice and very reassuring. I was told that they would start on my case and I would hear back from my assigned tax analyst that same day and was required to a payment the next day. I made the payment and future payments the next day as well as signed the required forms. I even called back the same day and the next day when I had not heard from my analyst. By the time I was able to actually talk to my analyst it was well beyond the 3 day cancellation period so I basically paid $650 for four phone calls. Had I been able to talk to my analyst earlier I would have cancelled within the allotted time period. I feel the reason for the short cancellation period is so that by the time you know if you really need their services it's already to late. I previously (August, 2018) submitted a review outlining my dissatisfaction with Tax Defense Network. In a nutshell, they provided NO SERVICE beyond extending the due date for my taxes, as I had to pay EVERY CENT OWED, including penalties and interest. After filing my review, I was contacted by a representative and assured that my case would be looked into and some answers provided. After an email and a couple of phone calls, nothing. I was informed that the previous agent working with me was no longer with the company, but that my situation would be reviewed and perhaps I would be entitled to some sort of refund of part of the $6,500.00 it cost me to engage them. Obviously, NOTHING came of that promise. I have not been provided an answer on any of my concerns, but now it seems that I am receiving regular marketing solicitations from them promoting their services. I even tried to opt out of receiving those emails to no avail. Talk about adding insult to injury, try getting screwed by a company and then have them relentlessly try to solicit your business again! TDN took the pressure off of us. They got us all straighten out with the IRS and each person we spoke to and dealt with was extremely pleasant and helpful. Kristy, It has been our pleasure to serve you and we hope to continue to be of service to you in the future. Thank you for taking the time to leave your feedback we appreciate having you as our client. They helped me with my tax issues. They were efficient and knowledgeable. Eva, It has been our pleasure to serve you and we hope to continue to be of service to you in the future. Thank you for taking the time to leave your feedback we appreciate having you as our client. After many sleepless nights, and a whole lot of tears, I decided to give Tax Defense a try. From our first conversation and many after I knew Tomika S was a good person that could feel what I was going through, and wouldn't give up until she had succeeded. With Tomika, it was "You gave it to me, and I'm going to take care of the situation." And I believed her. She felt my pain, my struggle, and even shared my tears with me. I thought my taxes couldn't be resolved, thought I was in over my head, but she never gave up. Choosing Tax Defense was one of the best decisions I've ever made. Having Tomika S as my tax consultant was a true blessing. She was definitely a God send. I can't thank her enough and Tax Defense. Thanks to Tomika Singleton and Tax Defense I'm sleeping again. Barbara Scott. Barbara, It has been our pleasure to serve you and we hope to continue to be of service to you in the future. Thank you for taking the time to leave your feedback we appreciate having you as our client. They were compassionate and eager to assist me with my tax problem. I have been working with you and paying out a large amount of $$$$$$$$ and still no resolution, I have to constantly call for a response and next steps. Ms. Dappern, thank you for your feedback. We are always striving to get better and want to make sure that you are well taken care of. We will have someone reach out to you to ensure that you are well informed with the next steps of your case. It took over a year for them to understand I didn't have a personal tax problem, it was a business tax problem even though I had been telling them from the beginning. I had to contact them constantly for updates. They couldn't keep things straight and when questioned about mistakes or miss information I was blown off. After over a year and a half dealing with multiple people they terminated my case because I didn't respond to them fast enough. I have since caught them in a lie. My case was unusual, however it was not that complicated. Debbie, I am sorry to hear that this was your experience. I am sorry we couldn't help further but would like to know more about what transpired, please contact us at 888-829-0563. Michael, Fantastic news!!! Happy to hear that you had a great experience with us. Because they are very pushy, they are very misleading with their pitch, and they make it very apparent they are only after money. Tyson, I would like to know who your sales person was as this is not our what we stand for at all. Please contact us at 888-829-0563. This is unfortunate news. We would like to remedy this as best as we can. Please reach out to us at 888-829-0563. Very dishonest company. Complete was of money. Did not negotiate at all. We never want our clients to feel as if they were taken advantage of. Please contact us at 888-829-0563 so we can look into this further. I think I paid 7000 dollars for them to make a payment agreement with IRS. I think I'm paying for the rest of my life....No returns for me and I get taxed on a refund I don't get... I wanted them to take away this issue.... But I think they took my money and made a phone call.... What justifies $7000...Flat rate? Chad, I would like to discuss this further. Please contact us at 888.829-0563. Thankfully for me, Tax Analyst Deborah A. took over my case and guided me to a favorable resolution. She was very available, assuring and easy to communicate with. 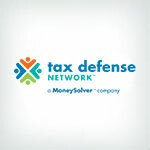 Tax Defense Network delivered as advertised, got me out of a large tax debt and I would highly recommend them to anybody in need of relief. John, Thank you so much for your review. We are happy to help, thank you for choosing us to assist with your tax debt. Awful, don’t bother!! They say on their site they do an analysis before taking your money, not true!! $6000 no communication on status, list documents, no return phone calls and now told they can’t help, because of our income. According to their own website that should have been don in the first hour!!! Jodell, Thank you for your review even though we are sorry to hear that this was your experience. I have my Sr. Case Advisor reaching out to you to discuss. Awesome! Ben B was very professional to work with on structure the package they offered us. Kendal, Thank you so much for the positive feedback and for choosing us to assist in your tax matter. The tax professional in charge of my case isn't concerned about what is best for me . Jeff, I would like to get this situated for you asap. Can you please reach us at 888-829-0563 so we can re-assign your tax professional? Wilma, I am so sorry to hear this. I would like to look into this further, please contact us at 888-829-0563. I recently worked with Ruth R and she answered all my questions and was able to get me a resolution quick! Thank you!!! Kristy, No, thank you! Thank you for choosing us to assist in your tax matter. It was the best company that ever help me with my taxes, kept me imform all the way through the process, and they solve me problem with the IRS, will recommend them with a 5 star rating the best company ever. Donald, You're the real MVP! Thank you so much for your review and for choosing us to help in your tax matter. Evelyn, You're a wonderful person. Thank you for your review and choosing us to assist with your tax matter. Hard to reach initially, took me calling them 5 separate times due to no call back. Then after $399.00 I got no benefit and what I found to be wrong information. JG, That is horrible news. We would like to discuss this further. Please contact us at 888-829-0563. I mis-reported stock sales in 2016 and was contacted by the IRS to pay back $16k in taxes + nearly $3k in penalties and interest. I contacted the Tax Defense Network and they said while they couldn't guarantee I could get the interest and penalties waived, that they had never seen a situation in which that hadn't happened with a case like mine. So I paid their $2,500 fee thinking at the very least I won't have to deal directly with the IRS and that the service would pay for itself by getting the penalties and interest waived. I was ecstatic when they audited my taxes and found that the IRS was wrong, that I didn't owe $16k but only $10k...great...then I wait and wait and wait...10 months before I get the go-ahead to pay the taxes but they were only able to waive $90 of the nearly $2k penalties and interest. Worse yet, I was told by the Money Resolver contact that they never get those fees waived...now I'm really mad because I was sold a line that I based on my decision on. In retrospect, I should have just taken it to my tax accountant who would have found the IRS discrepancy for a fraction of the cost. The other problem was that I had the money to pay the IRS 8 months before it was resolved but was told to wait to pay so that they could negotiate with the IRS...Mistake because then I ended up paying more penalties and interest during that time! From what I can tell, it's not that hard to contact the IRS and work this stuff out without this service. Get a good tax accountant and then work with the IRS and your tax accountant directly. Jerry, I can understand your frustration. Please contact us at 888-829-0563 so we can discuss this further. Tax Defense network was a life saver for me. They were relentless in getting my case closed. If you are looking for real Pros. Look no farther. Barry, Thank you for your review. We are happy to hear that you were pleased with the outcome of your case. Your needs are very important to us. Carl, You're great! Thank you for your review and choosing us to assist in your tax matter. Overall experience, Well worth your consideration! Personable, reliable, and effective! Ask for Dee Dee M to handle it! Larry, Fantastic! I am so glad to hear that you had a good experience. Thank you for your review and for choosing us. Kifilu, I would like to have someone look into your case further and see why this happened. Can you please give us a call at 888-829-0563? Corey, I am sorry to hear that this was your experience. We strive to make sure our clients never feel this way. Please contact us at 888-829-0563 so we can look into this further. They used three people as my representative over several months. Two of those people left the company. They offered nothing to give me any relief and charged a lot. They informed me the IRS by law can't lower the amount you owe. What a sham they proved to be. I will say, when we determined thy could no longer help me, they did not continue to charge me a fee. Anonymous, Thank you for your review. I am sorry that your experience was less than enjoyable. Wishing you good luck on your journey. Dennis, I am sorry to hear this. I will pass this information along to ensure that this issue is resolved across the board. 90% of my check was taken by the IRS. Within a month of tgis company doing nothing, they garnished my bank account too. I would like to hear more about your experience with us from the beginning. There may have been some miscommunication that we could clear up. Please contact us at 888-829-0563. They misled me in every way, they did not listen to me, get back and respond to my e mails . They kept sending endless paperwork to fill out that they knew i did not have but promised to get from the IRS. They failed me in every way and took my money. James, I looked into your case. Please contact us to discuss further. Our direct number is 888-829-0563.
they don't do what they say. They just take your money. you are better off dealing directly with the government. After over a year of taking my money, I delt with the government and settled it over the phone in 15 minutes. Tax Defense won't return phone calls after their payments are set up. Anonymous, I am sorry to hear this. We never want our clients to feel like they're not a priority to us. We wish you all the luck on your journey. Ineptitude. Kept passing my case around to different agents. Sent my social security over email in the clear unencrypted. I was incapacitated with a medical condition, as so I was told they would come to me. They only sent someone to sign me up, no other visits were made. It was impossible to tell the difference between their ads and official business related emails. Tab, This is very disheartening. Please contact us at 888-829-0563 so we can discuss further. Terrible Customer Service!! I mean really really BAD!! Bradley, I am sorry you feel this way. Our customers are very important to us and hearing that they don't feel that way is disheartening. Anonymous, We'd like to know why that is. Please contact us at 888-829-0563 so we can discuss further. We hope you can give us a second chance. Mr. Lackey, I went to look further into your case but I do not have your first name. Please contact us at 888-829-0563 so we can assist. They took too long to respond and didn't help me get my loans consolidated. I am sorry to hear this. I would like to look into your case further and see what the hold up was on getting you the communication and resolution. Please contact us at 888-829-0563. I was having problems with filing taxes. They got to work right away and worked really hard on my case. I didn't like that there were a lot of workers that I went through before I go my main worker. Other than that they were great. Laurie, Sorry to hear that you had some frustrations but happy that things worked out. Thank you for choosing us to assist in your matter and thank you for your review. I regret signing up. They left a year out of the settlement that was supposed to be included. They are very slow to communicate and they do not deliver what they promise. Leonard, We would like to look into your case further. Please contact us at 888-829-0563. We want to fix these issues and your feedback is important. Save your money and do it yourself. I would not recommend Tax Defense Network to anybody. There is a lack of communication and they didn't deliver on what they promised. Daniel, Thank you for your review. I am sorry that this was your experience. Please contact us at 888-829-0563 so we can look into this further. I feel great about my decision to sign up with them. Customer service worked hard on their job. Arthur, This great news. Thank you for choosing us to assist in your tax matter. Don't use them. I have been paying them and they haven't done anything. They never follow through. They have terrible customer support. There is no response to emails. I would have been better off hiring a tax attorney or somebody else. Anonymous, I'd like to know your name so I can look into this and fix it. Please contact us at 888-829-0563 so we can. Thank you for your review, your feedback is important to us. I had a bad experience with them. Tax Defense Network promised that they could help me with my delinquent taxes, but They didn't deliver on what they promise. Hilario, Please contact us at 888-829-0563 so we can get you answers for this outcome. We never want our clients to leave frustrated. In the beginning, it was hard to talk to people and have them answer my questions. Every time they would change the person who was on my case. There was one lady there who was so aggressive asking me question after question. I told her I didnt' want to talk to her and I needed someone else. I was frustrated. And Tax Defense Network they told me that they would be able to reduce my debt with the IRS, which was not true. The only thing they helped me do was make payments to the IRS. I was disappointed because that's not what they had told me in the beginning. I wouldn't use their services again...I just want to be done with it. Anonymous, Thank you for your feedback and I sincerely apologize for your frustrations. We would like to understand more about your experience, could you please contact us at 888-829-0563? Thank you.